Digestive disorders occur at every age of life and Dr. Eidgah is trained as a family medicine doctor to diagnose and treat them. His practice in the East Village sees people from all over New York City, including Union Square and Downtown New York. How Do I Know If I Have a Digestive Disorder? There are many signs and symptoms of digestive or abdominal disorders. Some are mild in nature and people suffer with them for years before seeking help. Some are very severe. You should make a sick patient appointment with Dr. Eidgah if you have abdominal pain as that is a sign and symptom of both mild digestive issues and acute GI problems. Problems with your digestive system are bigger than just bowel movements. Nearly 21 million people in America suffer from gallstones. Abdominal pain is nothing to take for granted. Loose stools or constipation is another reason to make an appointment. Your digestion of food should be regulated. Diseases such as Celiac Disease or Crohn's disease also affect your digestive system. Both of those conditions have symptoms that include abdominal pain. Does Dr. Eidgah Treat Celiac Disease? Yes. 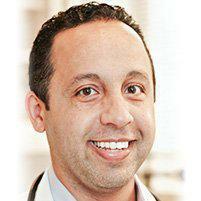 His training as a family doctor includes treatment for both celiac disease, and Crohn's disease, as well as many other digestive disorders including ulcers and irritable bowel syndrome. Approximately 15-17 percent of the U.S. population suffer from irritable bowel syndrome. How Does Obesity Affect Digestive Disorders? Being overweight has a significant impact on your digestive system. Obesity is thought to contribute to hemorrhoids and diverticulitis. Obesity can cause symptoms that are similar to IBS, such as constipation. How much we weigh plays a large role in our health. Does Dr. Eidgah offer Preventative Care for Digestive Issues? Yes. One of the first things he may discuss with you is your diet and food allergies. If you are overweight, he may talk with you about setting a goal to lose weight by eating a healthier and well-balanced diet. One of the best things you can do for your digestive system is to drink plenty of water. Preventative health is not always about making big changes. The benefit of having Dr. Eidgah as your primary doctor is that he understands that health care is a team sport.